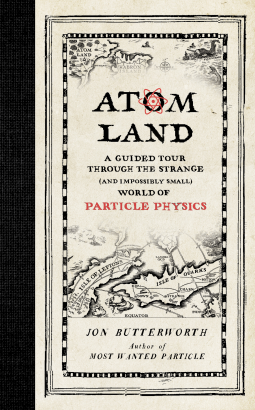 Atom Land: A Guided Tour Through the Strange (and Impossibly Small) World of Particle Physics by Jon Butterworth. Butterworth is a lecture in particle physics at a layman’s level. Butterworth is a physics professor at University College London and a member of the Atlas experiment at Cern’s Large Hadron Collider. He studied Physics at the University of Oxford, gaining a Bachelor of Arts degree in 1989 followed by a Doctor of Philosophy in particle physics in 1992. His Ph.D. research used the ZEUS particle detector to investigate R-parity violating supersymmetry at the Hadron-Electron Ring Accelerator (HERA) at the Deutsches Elektronen-Synchrotron (DESY) in Hamburg. Quantum physics, particle physics, and hard science for laymen have been around for some time. In the early 1980s, I read Taking the Quantum Leap by Fred Allan Wolf. I also read Feynman’s autobiographical works on his career and work. Today the there are hundreds of documentaries and books on the subject from basic physics to the so-called Holographic Principle. These are written either at a level that a high school graduate or liberal arts major can easily understand with a bit of faith in the mathematics around the theory that is not included. The math is impossibly complex for someone outside the field. Back in the 1980s, I ordered a two-book set on String theory through a catalog. I received two books of nothing but mathematical formulas and proofs far beyond my calculus lessons. There is a great effort involved in translating mathematical proofs into something that is understandable to an educated general public. Atom Land works on three themes. First, it is about particle physics from the basics to the exotic. All the various points are made from the two-slit experiment to what makes up protons and neutrons and the forces that allow them to exist. Some time is given to explain the neutrino detectors. There is all the fascinating science that is included in other works. Great minds are also included like Dirac and Maxwell. Second, Butterworth’s title invokes the classic novella Flatland originally written as a satire of Victorian England but remembered more so for its explanation of dimensions as a three-dimensional sphere describes a two-dimensional society. Third, Butterworth creates a map of the particle physics. There is the Isle of Leptons, Atom Land, Hadron Island, Isle of Quarks, Bosonia, and like all good old maps, there is a “Here be Dragons” section reserved for anti-matter and other dimensions. The lands all have cities that are (Isle of Lepton — Strange, Charm, Top, Bottom…) which are connected by roads and related forces and particles connected by air routes. The map is very well done and well thought out and could be a great teaching aid. I was most impressed with the map. Atom Land for the good and potential it has seems to be geared to a high school or liberal arts level. I do have a liberal arts degree but still felt a bit patronized by the level of discussion. I have read and reviewed quite a bit in this area and even in my liberal arts degree, my electives were eaten up by science classes. This would be a great book for someone without much experience or reading on the subject or as a teaching aid/support material. There is a great deal of information presented and presented in an easily understandable format. I loved particle physics. Not that I was good at it, but I liked the whole spectacle of it. Your review took me down the memory lane – I could recall my teacher explain the Isle of Sphalerons between the Isles of quarks and Leptons (hope I got that right).